Dave McClain (born David Wayne McClain, October 22, 1965 in Wiesbaden, Germany) is the drummer of Machine Head. 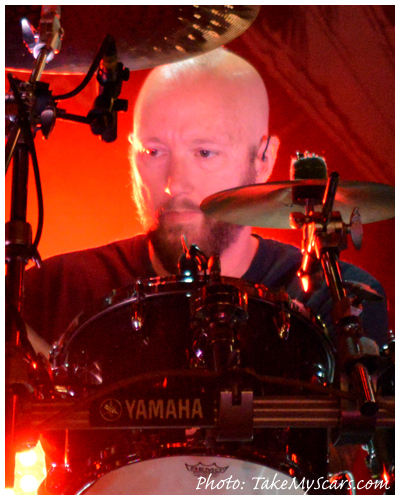 He joined the band when Chris Kontos left shortly after their first album (Burn My Eyes). On December 26th 1995 Robb Flynn called Dave McClain, after they kept Dave in 10 long days of suspense, to officially welcome him as Machine Head's new drummer. McClain incorporates a wide variety of immensely complicated beats in each song, using the double-bass drum pedal to great effect along with a very select drum kit and cymbals. McClain is considered by some to be one of the most underestimated and underappreciated drummers in metal. He is currently endorsed by Yamaha Drums, Remo drumheads, Ddrum electronics, and Zildjian cymbals.